After exploring all spectrums of the music world, I’ve discovered some cool gadgets that have made keeping up the condition of my instrument and daily practice more interesting. These are all designed to make your life as a student easier and give you something to look forward to in the mail during the week. While cleaning cloths can be very useful in keeping your strings rosin-free, they don’t reach the residue that this gadget does. And you know that squeaky noise everyone in the room cringes at when you clean your violin? Yeah, that does not happen with the String Cleaner. You clasp it onto the strings and in one swift motion, they are like brand new. The material on the product never gets sticky from the rosin and gets rid of any oils left on the strings from your fingers. Lastly, your strings are guaranteed to last longer with the upkeep of this product. Looking in the mirror to check the accuracy of your bow and whether it’s straight is one way to get rid of the bad habit. However, especially with beginners, using this gadget will cut the time in half trying to get your bow straight. 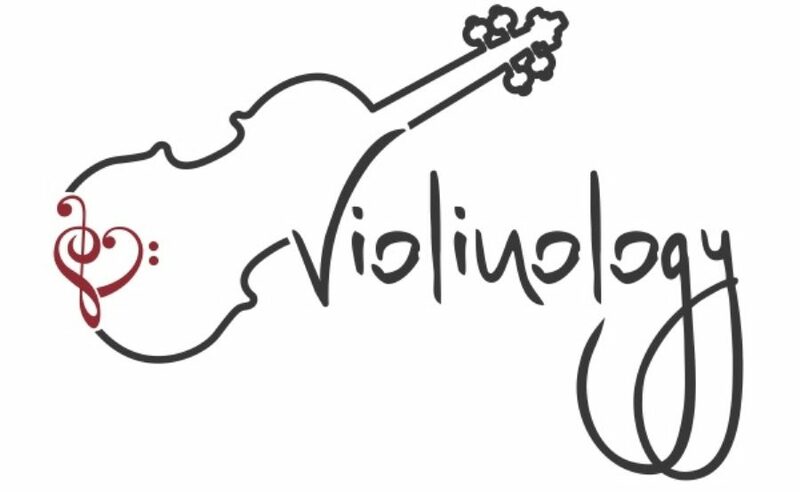 They have a product for all violin sizes and its reviews on all websites are positive. Teachers often recommend this device for young students and beginners. Using this product during daily practice will help get your bow perfectly aligned with the bridge in a matter of weeks. Because they continuously grow, students often need to fix their bow arm to make up for the longer length and this device makes it easier. Does your neck ever get infected from playing the violin frequently? Do you hate walking around with a “hickey” and getting looks? Well, this product will save your neck. The reason why students often get wounds on their neck is they may be allergic to the wood on their chin rest. Their skin becomes irritated from the rough wood and because they simply continuing practicing, it becomes a wound. Instead of constantly placing a cloth on your chin rest, the Chin Cozy can be secured onto your violin and has much softer fabric. Treat your neck wound and wear this product to get rid of that “hickey”. Sweat and tears often make the violin and its body look dull and matte. This tool helps prevent the varnish from being worn down by residue from practicing. It is also excellent for cleaning areas like the wood under the chin rest and the box near the scroll from getting too dusty. To get your instrument re-varnished is often a hassle and very expensive. Consistently utilizing this tool after every practice session and putting more effort into upkeep of your instrument will prevent having to make a stop at the violin shop. Hanging your violin from your stand and it dropping, placing your instrument on the couch and you sitting on it, putting your violin on the floor and tripping over it; it’s something we all get afraid of and one little accident means catastrophe. This contraption will rid you of all your worries because you can finally have a safe place to put your instrument. Instead of placing your instrument in its case between brakes, you can rest it on this stand and prevent any mishaps. When playing aggressive contemporary or harsh romantic pieces, the bow often hits the side of the violin because we have to play with so much speed and pressure. Rosin begins to affect the varnish and the chips on the wood caused by playing multiplies. As the violin becomes more damaged, its value decreases. This product is an excellent tool for keeping your violin in tip-top condition, no matter how harsh you have to play. Its material is a soft rubber that does not damage the violin and lasts for years to come. Leatherwood rosin is another great product. It’s a very high quality, eco-friendly Australian rosin. They also have a “bespoke” rosin blend which is custom made for the player. You tell them what kind of sound your looking for, the tone of your violin, the strings you use, etc. and they will blend a rosin based on what you tell them. It’s expensive, but all the reviews have been extremely positive. I’ve ordered some myself and it should be arriving soon (takes between 1-2 weeks because of overseas shipping). I’ll try to post again with a review after I try it out. So I got the rosin a couple of days ago and got my bow rehaired today and I can actually hear a somewhat substantial difference in tone quality. I have hardly stopped playing since I put the new rosin on my rehaired bow. Overall, I would highly recommend getting Leatherwood rosin for anyone who is in need of a new rosin or searching for a better rosin.